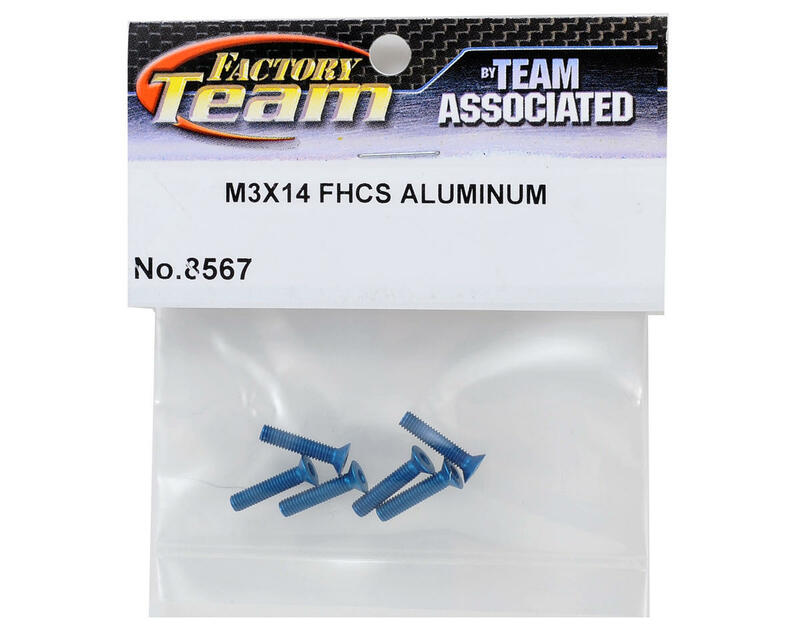 This is a pack of six optional Team Associated Factory Team Aluminum 3x14mm Flat Head Screws. 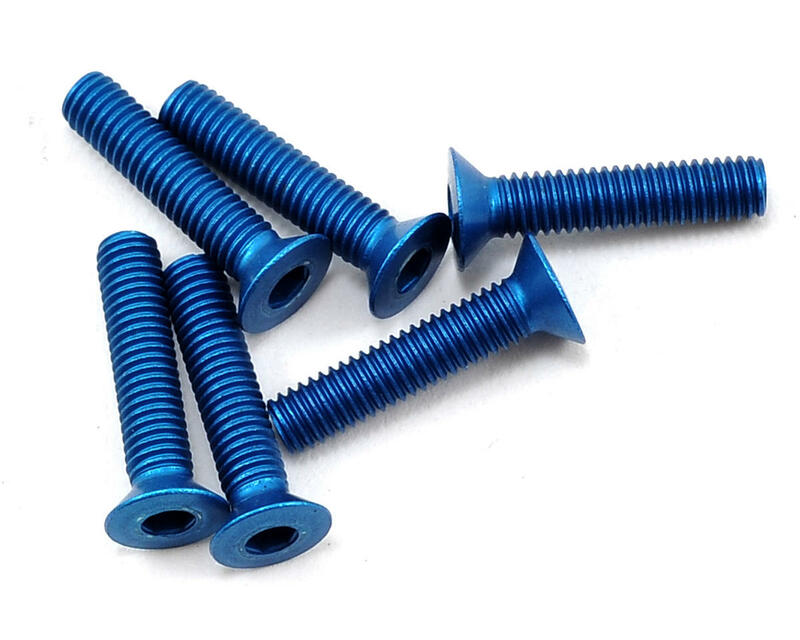 These screws will lighten your rig and add a touch of cool Factory Team blue bling to your podium finish. These screws can be used to reduce weight in any application that requires a screw of this size but are only recommended for use in low stress areas.